Harry Potter breaks Warner Brothers contractual gag-clauses. The wizard reveals What Must Not Be Spoken in the News Media Anywhere in the Muggle World. Here, for the first time, the shocking truth behind why one of the world’s most famous wizards was forced to live a double life as Daniel Radcliffe in the Muggle World since he signed with the Hollywood movie studio. Potter spoke on the record with investigative journalist Sophia-Bigg-Storm about how the White House-Hollywood-Military-Media Propaganda Complex censored all wizards and witches who appeared in the Harry Potter movies from talking about a 900-year old Wizard-Goblin Bankers’ War waged for financial control of the Muggle World. (Warning: Clicking image will make it bigger and may destroy the planet). Epic Storm Brewing: US President Barack Obama and New Zealand Prime Minister (& ex-banker) John Key read about the suppression of Harry Potter’s interview following his stormy rendezvous with Snoopman News. Wizard Harry Potter has shocked the Dark Forces of the Magical Realm that rule over the Muggle World. 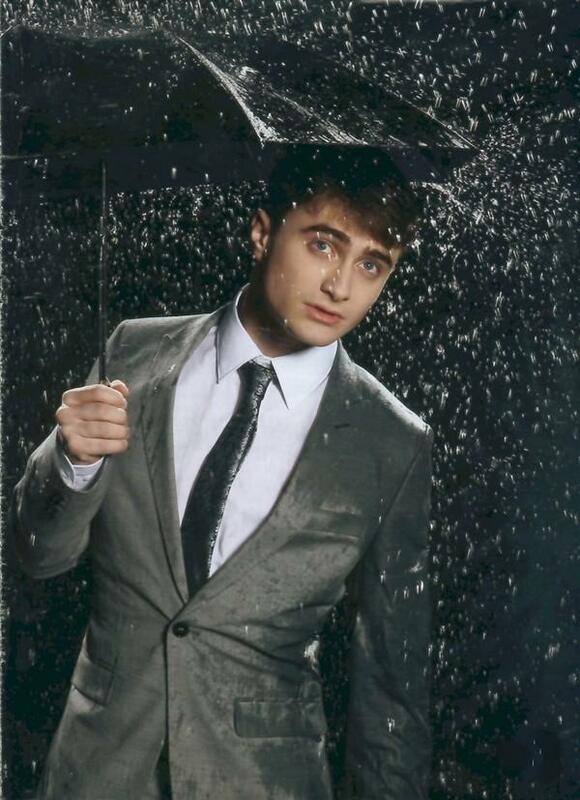 The shock is not because Harry Potter spoke about the double life he has lived as Daniel Radcliffe in the Muggle World since he signed with the Warner Brothers movie studio to make the Harry Potter film series. Every muggle kid over the age of big six has worked this out and told their parents, but they have not been believed. Rather, Potter has rocked the White House-Hollywood-Military-Media Propaganda Complex because he has spoken to a non-aligned news-outlet located in the Muggle World about an epic war being fought between Dark Wizards and Goblins. (It is a war fought mostly between males, because they dominate the top positions of banking and other major institutions; a fact which is a major gap in feminist scholarship due to the Ministry of Magic’s censorship power over education in the Muggle World). This war has intensified in the last four decades. [i] In short, the magical creatures are using their powers in a clichéd fight over the politics of money. Potter stated that Warner Brothers movie studio had written gag-clauses into all the wizards and witches contracts, including his and his co-stars’ – witch, Hermione Granger and wizard, Ron Weasley. The Hollywood executives anticipated as the magically-gifted stars grew older, they would learn about the Wizard-Goblin’s Bankers’ War and likely try to alert entertainment-hungry naïve muggles about it. The wizard said they tried on numerous occasions to tell muggle reporters, but they would think the three young wizards were playing on the accepted separation between make-believe and make-real. 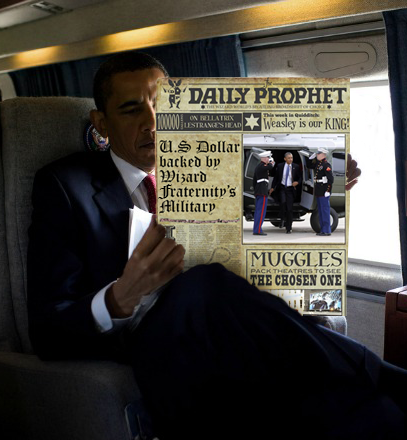 Furthermore, Potter explained key insiders of the world’s major news outlets have access to the major magical-stream media newspaper, the Daily Prophet, and like the world’s political leaders, they are well-briefed on the Wizard-Goblin Bankers’ War. The wizard said these key insiders were offered interviews with numerous wizards and witches, but all rebuffed the opportunities, except The Washington Post, whose dyslexic reporting duo, Bob Woodward Jnr and Carl Bernstein Jnr, fantasized about scooping Magicgate, but they became becaged with fear and ‘chickened-out’ at the last minute. Moreover, Potter’s interview with the non-aligned news outlet Snoopman News in Auckland New Zealand, was sent to all the world’s major news outlets via the Daily Prophet newspaper and a planet-wide muggle media blackout on the scoop followed. We also contacted our secret sources in the Obama administration, who checked White House transcripts of phone calls, memos and other communications that are currently blocked from being ritualistically leaked. Those sources confirmed Harry Potter’s story, but could not risk providing communications at this time. Fraternal Friends: The world’s major muggle-stream media outlets maintain a black-out on the Wizard-Goblin Bankers’ War. Because of this worldwide censorship by unofficial means, numerous Light-working Wizards and Witches decided that it was time to break the Ministry of Magic’s law. That law stipulates that wizard and witches Must Not Reveal the Magical Realm to the Muggle World. But, the Light-working Wizards and Witches decided that unless they did, muggles would become enslaved forever by debt, which had been sneakily added, like death and taxes, to life. The famous wizard said that the American Empire has used its military power to force or coerce nearly every country in the world to trade oil in US dollars, during an interview that took place at night on the mean streets of Auckland, New Zealand’s largest city, in the middle of a week-long storm. 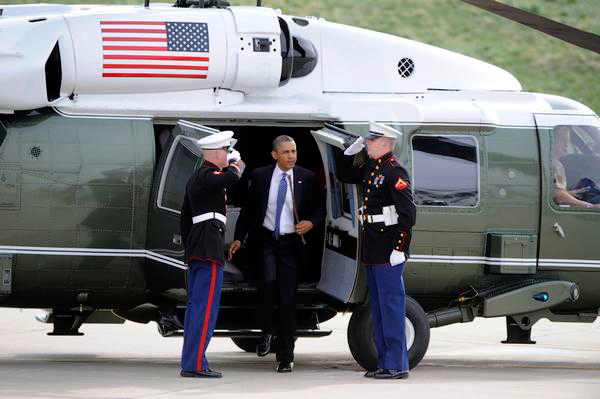 Presidential War Tree Wand: Obama carries the war wand when in transit in case the Dark Wizards order another war. 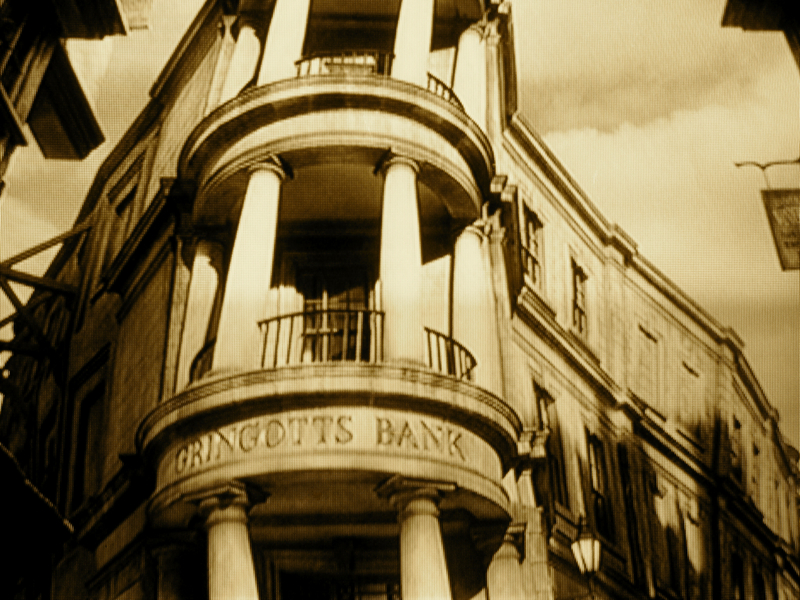 Gringotts Bank, City of London: Goblins Know Who’s Who of Richest in the Magical Realm and Muggle World That Bankers Must Not Name. Wizard-Controlled Bank of England: The central bank has been a key protagonist in the Wizard-Goblin Bankers’ War since 1694.
Credit Conjurer: Ex-Wall Street & London banker, John Key, as New Zealand’s prime minister uses his Money Tree Wand to borrow billions from a “foreign pixie” to keep Lorde’s homeland economy ‘solvent’. We reached Britomart Train Station in downtown Auckland, New Zealand, and stepped into the wall at Platform 3 and One Third. We were now among the hubbub of the magical world in the underground Transcontinental Train Transport station where trains run on time due to the charm, Give-a-Shitus. (New Zealand magical slang for caring). Potter retrieved his wand and with the drying charm, exaresco, he made us dry again. We said goodbye. 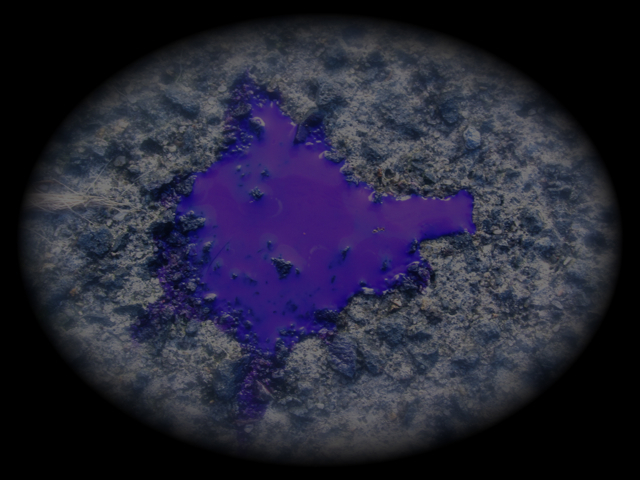 I saw what I thought was childrens’ purple water-colour paint on the pavement. “Purple paint!” I blurted to escape embarrassment of the fan-girlish feeling that came over me. “I thought witch and wizard blood was red,” I said. Dark Wizard or Witch Blood? Signs that a wounded Dark Royal boarded the fast train back to London. I could see him following the trail of blood up an aisle, with his wand ready to zap at danger. Potter swung around and I jumped. He opened a window. “Hermione wrote up notes and a list of references for you to use with the interview,” Potter called out, handing me a notebook with a hippie green owl on the cover. We both laughed hard. Harry Potter closed the carriage window a moment before the train bolted into the night throwing him hard against a seat. I realized then that Harry Potter is one of the bravest, big-hearted people I have met. It would be shallow to write-off the risks that Potter takes simply because he is gifted with magical powers. To think that would mean to be suckered into the media persona conjured by J.K. Rowling and Warner Brothers. Whereas, Harry Potter is using his privilege to help zoned-out muggles see that what little freedom they have is in peril and to believe in their own source of magic: intuition, imagination and inquisitiveness. Not Just Fiction: Wizard Harry Potter slipped away from his day-job at the Ministry of Magic’s Auror Office, the magical agents who apprehend Dark Wizards. As I reached our world headquarters, where our researching elves were busy chatting on Facebook, I wondered what colour would be used to depict witches’ blood in tampon and sanitary-pad commercials in the magical realm. I told some of the elves that Harry Potter had recognized the purple blood of a wizard or witch. The elves, many of whom are studying Public Relations because it is lucrative, easy work to do undercover, stopped Face-booking only to ask if they could post the photos, without hearing the full story. They could get work as journalists anywhere in the world, I thought, especially since many reporters, who regard themselves as ninjas of the internet, no longer leave their desks. The elves said they did not know what colour witches’ period blood would be depicted in commercials. But, they said it would certainly not be purple. Not with Wizards and male Goblins controlling darkly magical capitalism. [iv] Hudson, M. (2010). The “Dollar Glut” Finances America’s global military build-up. In M. Chossudovsky & A. G. Marshall (Eds. ), The global economic crisis: The great depression of the XXI Century (pp. 212-218). Montreal, Canada: Global Research Publishers. [v] Engdahl 2004: 127-141; 2009: 265-272); A Century of War; Engdahl 2009: 265-275). Gods of Money; Estulin (2009: 46). The True Story of the Bilderberg Group. [vii] Glynn Davies. (2002). A History of Money: From Ancient Times to the Present Day, p. 153-166. Cardiff, Wales: University of Wales Press; Steve Edwards. (2012). It’s the financial oligarchy, stupid: A study of Anglo-American news coverage during the 2007-2008 financial crisis and bank bailouts. (SEE Chapter 2). Retrieved from http://hdl.handle.net/10292/5536; William Engdahl. (2004). A Century of War: Anglo-American Oil Politics and the New World Order (Rev. ed.). London, England: Pluto Press; William Engdahl. (2009). Gods of Money: Wall Street and the Death of the American Century. Wiesbaden, Germany: edition.engdahl; Christopher Knight and Robert Lomas. (1998). The Second Messiah: Templars, The Turin Shroud & The Great Secret of Freemasonry. London; UK: Arrow Books. Geoffrey Madeja (2013). The Templar Code. History Channel. Retrieved from https://www.youtube.com/watch?v=EHWLVKiCdNs; Nazemroaya, Madhi Darius. (2012). The Globalization of NATO. Atlanta, USA: Clarity Press; Pilger, John. (2007). The War on Democracy. Retrieved from http://www.maoritelevision.com/tv/shows/tuesday-festival-documentaries; Pilger, J. (2002). The New Rulers of the World. London: Verso; Pilger, J. & Lowry, A. (2001). The New Rulers of the World. Carlton Television. [ix] Brown, E. H. (2008). The Web of Debt: The Shocking Truth About Our Money System and How We Can Break Free (2nd ed. ), p. 68-69. Baton Rouge, LA: Third Millennium Press; Griffin, G. E. (2008). The Creature from Jekyll Island: A Second Look at the Federal Reserve (4th ed. ), p.175-176. Westlake Village, CA: American Media. [xi] Elston, P. (1998). Banking with Hitler. [Motion picture]. London: BBC; Preparata, Guido Giacomo. (2005). Conjuring Hitler: How Britain and America Made the Third Reich. London: Pluto Press; Sutton, Anthony (2002). Wall Street and the Rise of Hitler. San Pedro, CAL: GSG & Associates. [xii] Brown, E. H. (2008). The Web of Debt; Federal Reserve Bank of Chicago. (1994). 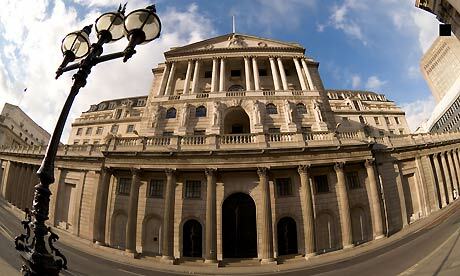 Modern money mechanics: A workbook on bank reserves and deposit expansion. Retrieved from http://ia700202.us.archive.org/3/items/ModernMoneyMechanics/MMM.pdf; Paul Grignon (2009). Money as Debt II. Retrieved from https://www.youtube.com/watch?v=lsmbWBpnCNk; Griffin, G. E. (2008). The Creature from Jekyll Island; Rowbotham, M. (1998). The Grip of Death: A Study in Modern Money, Debt Slavery and Destructive Economics, p. 66; Rowbotham, M. (2000). Goodbye America! : Globalization, Debt and the Dollar System, p. 90. Charlbury, England: Jon Carpenter. [xiv] Carroll, W. K. (2010). The Making of a Transnational Capitalist Class: Corporate Power in the 21st Century. London: Zed Books; Coghlan, Andy & MacKenzie, Debora Revealed – the capitalist network that runs the world. (2011, October 24). Retrieved from http://www.newscientist.com/article/mg21228354.500-revealed–the-capitalist-network-that-runs-the world.html#.U4PmmoXelcw; Engdahl, F. W. (2009). Gods of Money: Wall Street and the Death of the American Century.Wiesbaden, Germany: edition.engdahl; Estulin, D. (2009). The True Story of the Bilderberg Group, 183-184. (North American Union ed.). Walterville, OR: Trine Day LLC; Hedges, Chris. (2014, January 6). The Last Gasp of American Democracy. Truthout. Retrieved from http://www.truth out.org/opinion/item/21052-chris-hedges-the-last-gasp-of-american-democracy; Klein, Naomi. (2007). The Shock Doctrine: The Rise of Disaster Capitalism. Camberwell, Australia: Penguin Books; Nazemroaya, Madhi Darius. (2012). The Globalization of NATO. Atlanta, USA: Clarity Press; Phillips, Peter & Osborne, Brady (2013, September 13). Exposing the Financial Core of the Transnational Capitalist Class. Retrieved from http://www.globalresearch.ca/exposing-the-financial-core-of-the transnational-capitalist-class/5349617; Phillips, Peter & Soeiro, Kimberley. (2012, August 14). The Global 1%: Exposing the Transnational Ruling Class. Retrieved from http://www.globalresearch.ca/theglobal-1-exposing-the-transnational-ruling-class/32356; Shoup, L. H. & Minter, W. (2004 ). Imperial Brain Trust: The Council on Foreign Relations and United States Foreign Policy, 254-284. New York, NY: Authors Choice Press; Whitecross, M & Winterbottom, A. (Directors) & Eaton, A. (Producer). (2009). The Shock Doctrine. [Motion picture]. A Renegade Pictures/Revolution Films Production. Retrieved from http://www.youtube.com/watch?v=7iW1SHPgUAQ; Wintonick, P.(Director/Producer) & Achbar, M. (Director/Producer). (1992). Manufacturing Consent: Noam Chomsky and the Media [Motion picture]. Canada: Necessary Illusions. [xv] Herman, E. S. & Chomsky, N. (2008). Manufacturing Consent: The Political Economy of the Mass Media (Anniversary ed.). London, England: The Bodley Head. (Original work published 1988); Edwards.(2012). It’s the financial oligarchy, stupid, p. 45-52. Retrieved from http://hdl.handle.net/10292/5536; Pappas, R. K. (Director/Writer), Blackburn, T. (Writer), Foley, M. (Producer). (2004). Orwell Rolls in his Grave [Motion picture]. USA: Buzzflash.com; Psywar: The Real Battlefield is the Mind. Metanioa. Retrieved from http://metanoia-films.org/: http://vimeo.com/14772678; Wintonick, P. (Director/Producer) & Achbar, M. (Director/Producer). (1992). Manufacturing Consent: Noam Chomsky and the Media [Motion picture].Canada: Necessary Illusions.